South Tyneside’s much-loved Customs House will be coming under new management during Half Term week, with a special run of events curated by 10-25 year olds. The Takeover Festival will see a host of culture loving young people in charge of programming and running workshops. Beginning on Monday 30th May, the first day will have a musical theme, with songwriting workshops and lots of live music to enjoy. Tuesday 31st is comedy and visual arts day, with comedy panel show A Quest To Stardom hosted by Lewis Gray and an opportunity to tour the venue’s galleries with a special Make Your Own iPad Gallery tour. 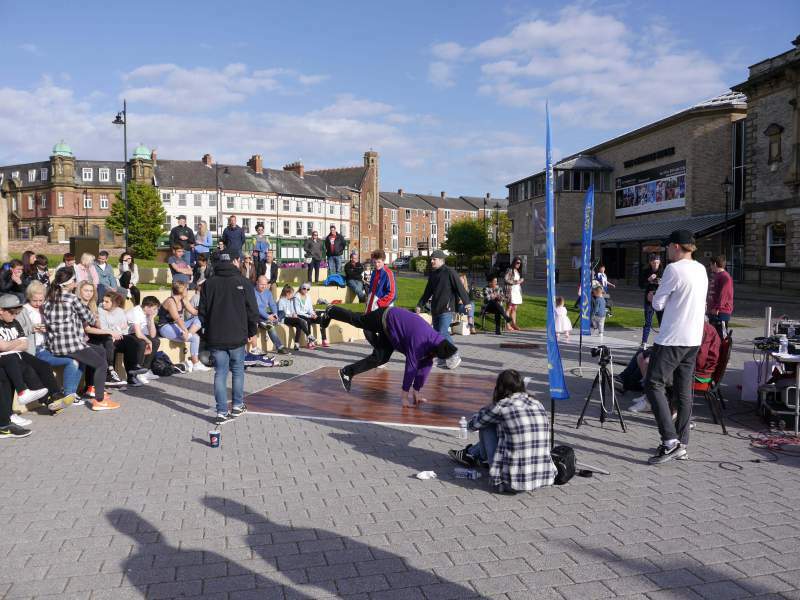 Wednesday 1st June is given over to the wonders of dance, with Just Jam Intl and Bad Taste Cru running breakdance workshops; while Thursday 2nd is all about the moving image, with an animation workshop, film quiz and sound effects session. The evening will see a glittering awards ceremony take place, with prizes awarded to up and coming young filmmakers at the Custom Reels Short Film Awards. Rounding the week off in dramatic fashion on Friday 3rd, theatre design workshops take place alongside a poetry competition and performances from the Customs House Youth Theatre group. Taking part in the week of activities will be participants from Customs House’s Youth Theatre and Customs Reels groups, alongside other culture-hungry youngsters. As the Takeover Festival lets the younger generation loose on the venue’s output for the week, it offers the perfect opportunity to support the Customs House’s initiatives and discover a new generation of makers and creators. Takeover Festival runs at Customs House, South Shields from Monday 30th May until Friday 3rd June.